This article gives several strategies to help children (or adults) improve reading fluency with explicit directions on how to implement each one. Reading fluency is the ability to read automatically, accurately, and effortlessly, while using expression. Fluency is just as important of a skill as understanding phonics (knowing the letters and their sounds), knowing sight words, and comprehending what is read. Readers who are successful with fluency can concentrate on comprehension because they don’t have to focus on figuring out the words. Side-Note: All the strategies below can be done with a parent and child or teacher and students. You can also pair an older child with a younger child, or a higher level reader with a lower level reader to practice these techniques. Be sure you pick a child who will be sensitive to a struggling reader. If you have any concerns about the child tutor you chose, make adjustments. If your child can hear examples of fluent reading they are more likely to understand how to apply fluency in their own reading. Read out loud to your child often and with expression. In order to read fluently, students must first hear and understand what fluent reading sounds like. 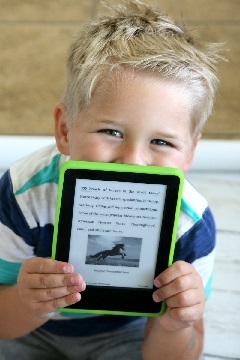 Text can come from books, magazines, the internet, or anywhere you can find interesting reading material for your child. Talk to your child about what fluency means. After you read to them, have them share their thoughts on exactly what you did that made your reading sound fluent. This will help in grain the meaning of fluency into their memory, making them more likely to think about fluency when working on their own reading. To read about the research on the benefits of reading aloud to children see A Synthesis of Fluency Interventions for Secondary Struggling Readers. Choose a short passage that your child or students can read independently (although they may have trouble with the fluency they should be able to recognize most of the words without spending too much time sounding them out). If you are a teacher, have a copy for yourself and a copy for your class or group. You also might want to put the passage on an overhead projector for the whole class to see. If you are a parent, have a copy for yourself and your child. 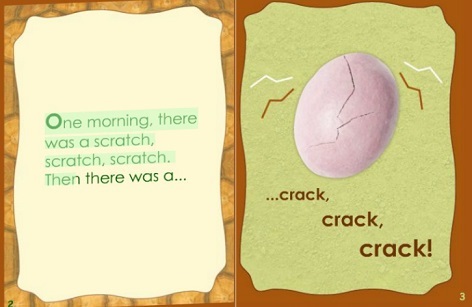 Next, read the passage out loud for your child/students to hear. Tell them to follow along with their finger as you read. After reading the passage, re-read it and have your child/students read along with you, trying to match your speed and expression. To read about the research on choral reading see Fluency in the Classroom. Echo Reading is similar to Choral Reading except you read the passage first aloud, and then have the child/students echo (or copy) you, by rereading the passage out loud trying to match the way you just read it. In choral reading, you re-read the passage with the students, while in Echo Reading, they read it themselves the second time. Find out what the research says about the effects of echo reading on reading fluency. Remind your child of the criteria for fluency (quickly, accurately, with expression). Have him pick a topic he enjoys. Then find him or have him find a short passage on that topic. Read the passage to him to show him what it sounds like to read the passage fluently. 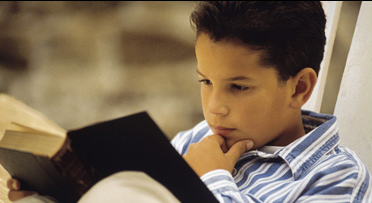 Then have him re-read the passage several times, out loud and in his mind on his own over a period of time, until he feels he has developed fluency in reading that passage.You can have him practice in front of you a few times first just to get him started and talk about strengths and areas that need improvement. Have your child read the passage for you again, once he believes he has mastered fluency. If he still has difficulty, talk to him again about his strengths and areas of need. Have him continue to practice on his own and read it for you again one he feels he has mastered his errors. Repeat the cycle until you feel your child has mastered fluency of the passage to the best of his ability. After mastering one passage, have him choose more topics of interest and apply the same strategy to those passages. To check out the research see Building Fluency through the Repeated Reading Method. or use push pins to pin words to a bulletin board . You can create your own word cards on index cards or use word flash cards like the ones shown below. 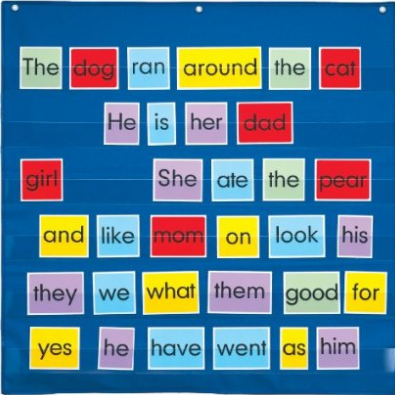 To read more about the research on Rapid Word Recognition Charts see Improving Reading Fluency. Check out Rapid Recognition Chart Generator for a free chart generator of the words of your choice. To read about the research-based benefits of audio read-along books see Assisted Reading with Digital Audiobooks for Students with Reading Disabilities. 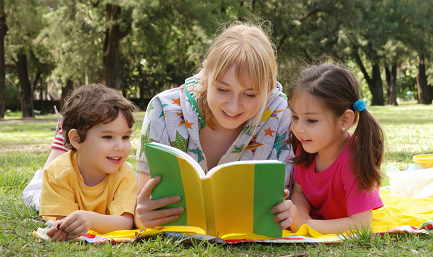 Encourage your child to read independently as often as possible. Allow them to choose topics that interest them. If your child/student is open to it, encourage them to tell you what they read about. You might ask them what happened in the story, who the main characters were, where the story took place, what they thought of the story, etc. Don’t do this every time as you want your child to have some independent reading time for pure joy, where he will not feel pressured to have to answer questions at the end. Mix it up (about 50/50). For more about the research-based effects of independent reading see Independent Reading and School Achievement. If your child is significantly struggling with reading fluency or acquiring other academic skills, despite consistent practice and guidance, talk to your child’s school and/or doctor. They should be able to refer you to the appropriate professionals to determine what might be interfering with your child’s progress and what additional strategies might help. 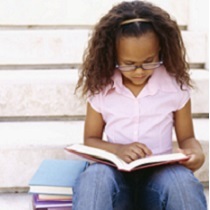 Visit our Reading Strategies Section for more information on helping children with reading.